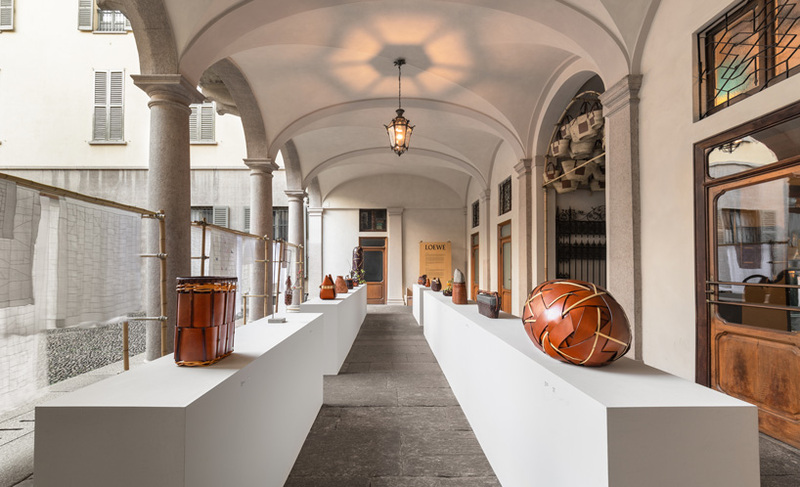 LOEWE gives a voice to time-honoured weaving techniques as part of its ‘LOEWE baskets’ exhibition on the occasion of milan design week 2019. marking its fifth project to run in concurrent with salone del mobile, the spanish fashion house is describing it as their ‘most ambitious instalment’ yet. 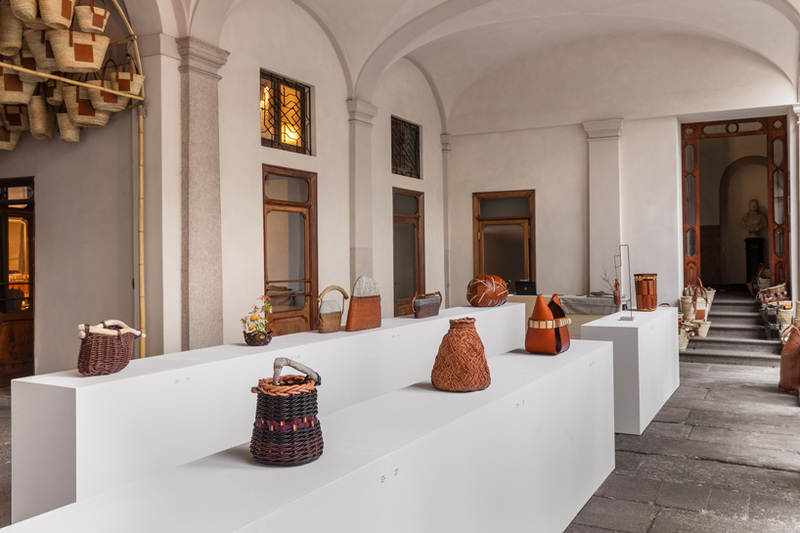 the show, which puts a spotlight on basket making, is divided into two sections: inspiration and collection. 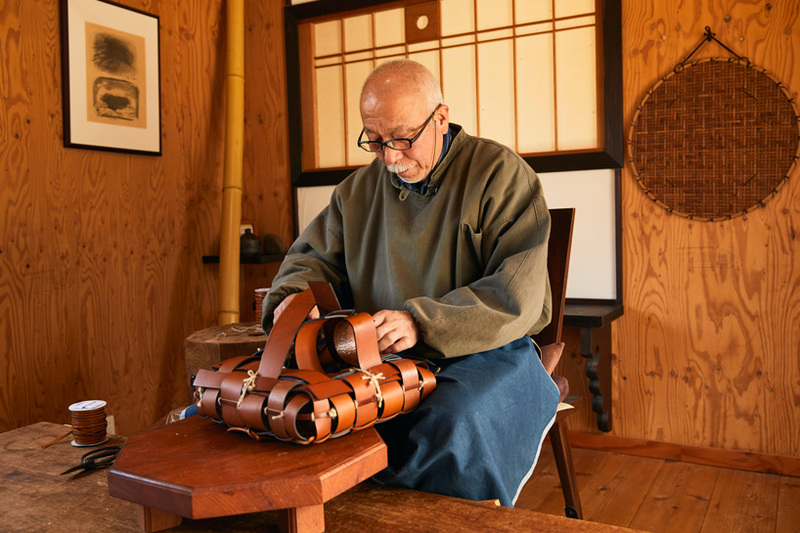 for the former, LOEWE has invited 11 international artists and craftsman to create a series of exclusive objets d’art. 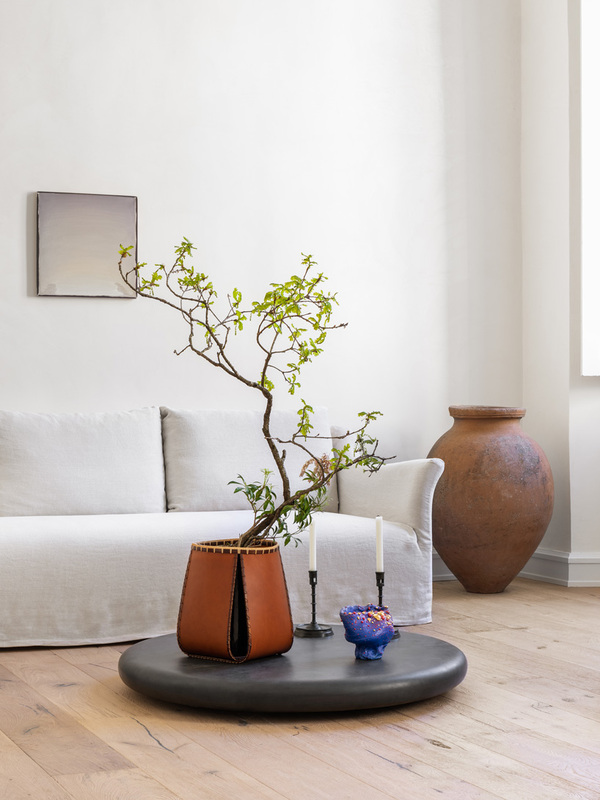 the result is a collection of bags, decorative objects, accessories, and one-off pieces, which express styles from all around the world through LOEWE’s core material of leather. 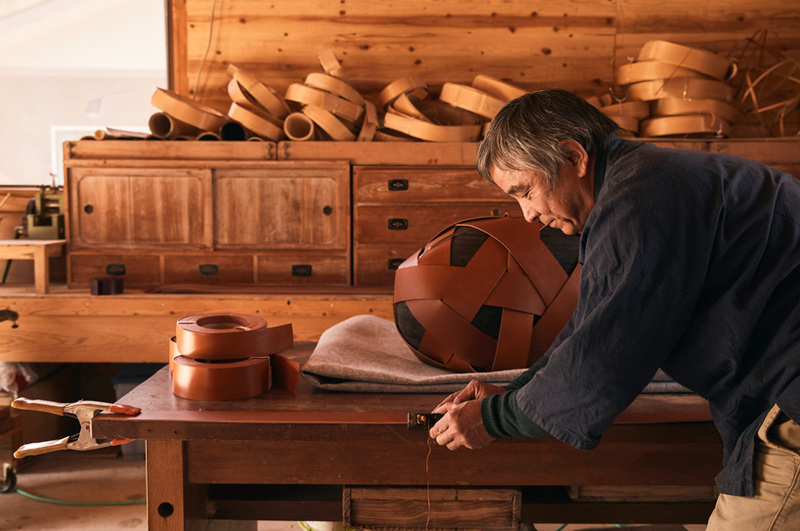 creative director jonathan anderson invites two of japan’s distinguished bamboo artists, jiro yonezawa and hafu matsumoto. 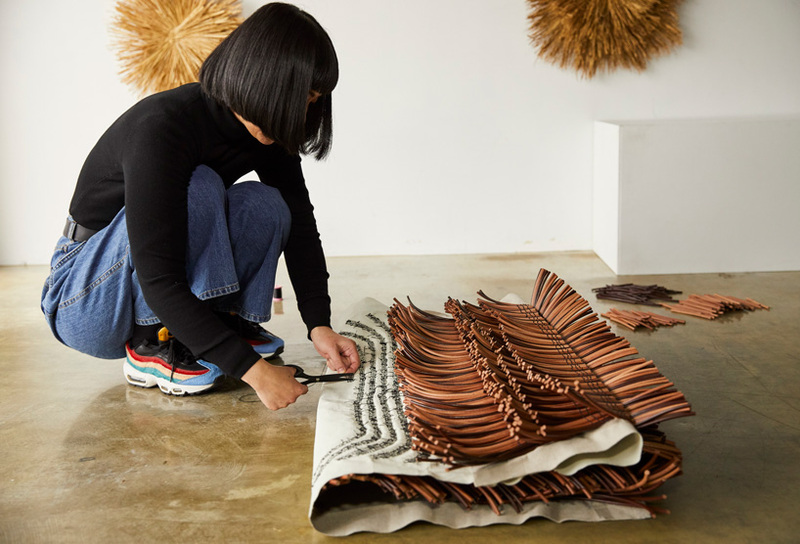 together they have created seven one-off pieces which for the most part swap their usual strips of bamboo for naturally dyed LOEWE leather, although a few pieces have been used in ode to their original craft. yonezawa sculpts the material into ornamental cocoons of interwoven pieces, using cores made from styrofoam, wood and paper to replicate the usual integrity of his work. 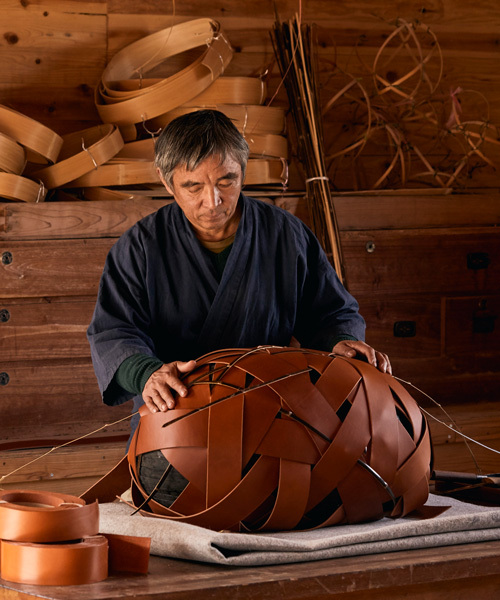 meanwhile, matsumoto creates four baskets made of wide strips interlaced with different kinds of bamboo. 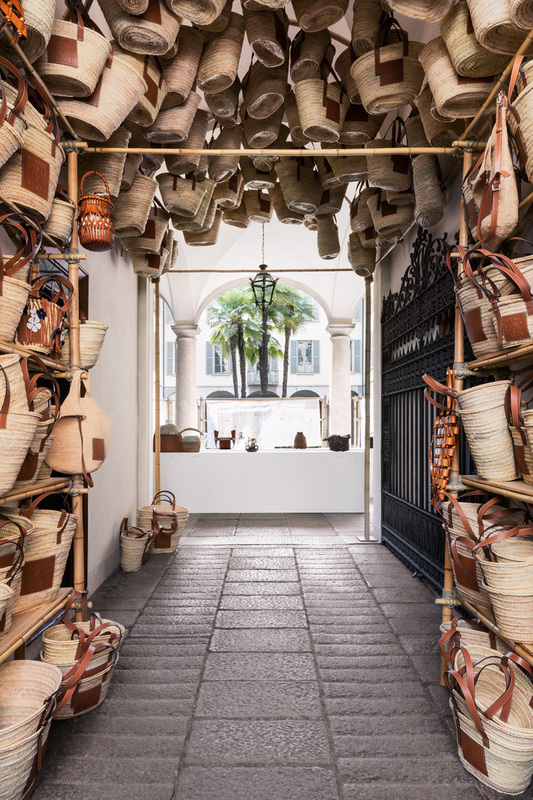 the collection is being exhibited in a historic courtyard near to LOEWE’s milan store in the city’s fashion district of montenapoleone. 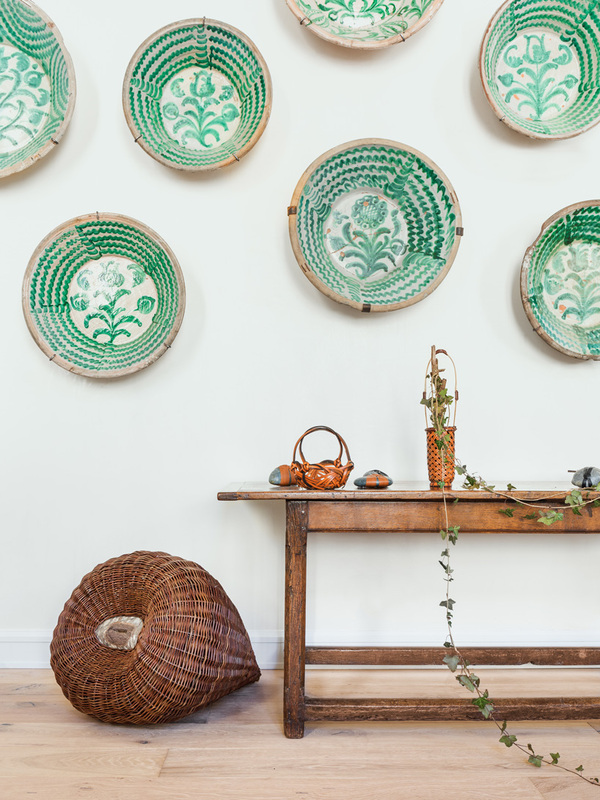 also among the roster of talents are self-described straw artist, ARKO; irish basket maker, joe hogan; and american-born, second-generation rattan weaver, deloss webber. all three are familiar to anderson who grew familiar with their work as part of past editions of the LOEWE craft prize. in addition to a series of unique pieces, three leading spanish craftspeople who specialise in traditional galician weaving and knotting techniques have woven leather into bags, accessories and charms. small cross body styles and bucket models with fringe details are complete with the brand’s anagram and currently on sale for between €1,300 and €2,200 (approx. $1,500 and $2,500). pricing of the one-off individual pieces are not yet confirmed. existing LOEWE bags, including the ‘puzzle’, ‘gate’, cushion and vertical totes, have also been adapted using weaving techniques and basketry aesthetics.